TORONTO, ONTARIO--(Marketwired - June 13, 2013) - Mammoth Resources Corp. (TSX VENTURE:MTH) would like to announce the re-pricing of its previously announced non-brokered private placement financing for up to 5,000,000 units of the company (the "Units") at a price of $0.10 per Unit to raise gross proceeds of up to $500,000, announced April 2, 2013. Mammoth Resources (TSX VENTURE:MTH) is a mineral exploration company focused on acquiring and defining precious metal resources in Mexico and other attractive mining friendly jurisdictions in the Americas. The Company has an option to acquire 100% in the Tenoriba Property located in the Sierra Madre Precious Metal Belt in southwestern Chihuahua State, Mexico. The company continues to seek other option agreements in the Americas on other properties it deems to host above average potential for economic concentrations of precious metals mineralization. 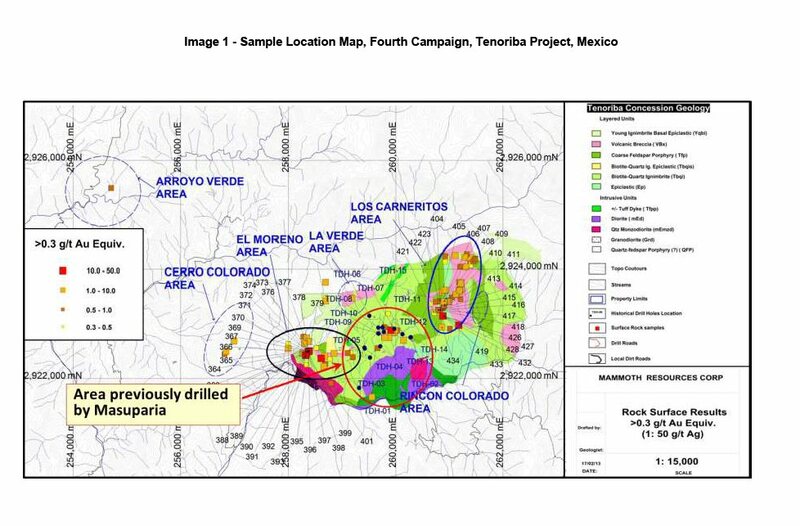 To view "Image 1 - Sample Location Map, Fourth Campaign, Tenoriba Project, Mexico", please visit the following link: http://media3.marketwire.com/docs/613mth_map1.jpg. 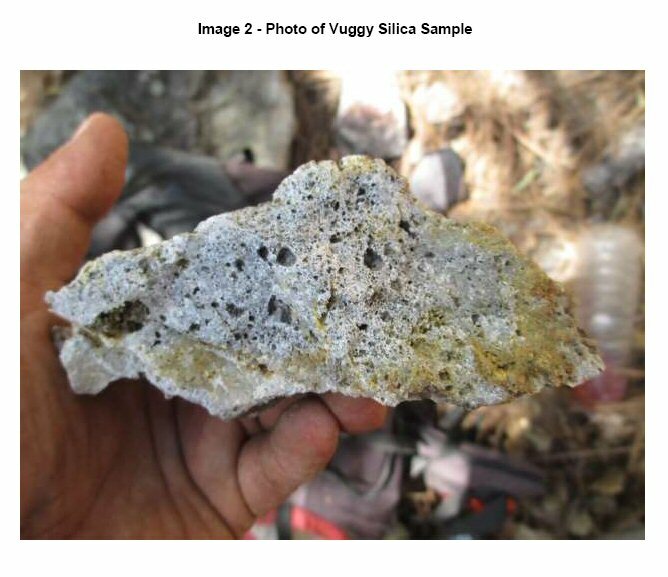 To view "Image 2 - Photo of Vuggy Silica Sample", please visit the following link: http://media3.marketwire.com/docs/613mth_img1.jpg. 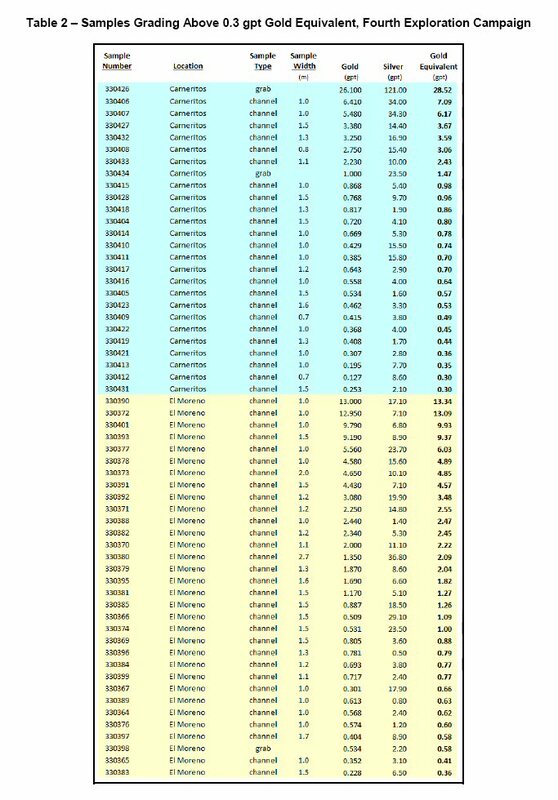 To view "Table 2 - Samples Grading Above 0.3 gpt Gold Equivalent, Fourth Exploration Campaign", please visit the following link: http://media3.marketwire.com/docs/613mth_tab2.jpg.